Choose industrial solutions from NTN-SNR. Whatever your operation or market sector, NTN-SNR can provide you with a personalised solution. For every market and operation, NTN-SNR can provide you with state-of-the-art industrial solutions and customised support. From technical expertise, a broad range of standards and top-level performance to the ability and creativity to meet cost/performance demands and always provide you with the best possible value for money and availability. NTN-SNR can provide you with ongoing support in developing industrial solutions to optimise cost and performance. Context: a market with a very high level of technical sophistication that is looking for maximum yield, to limit unforeseen failures (avoiding non-predicted maintenance), and to limit energy consumption. NTN-SNR can provide you with advice and constant support during your development phase. NTN-SNR provides you with a service and support for solutions that allow you to optimize your operation! Context: operators and producers of pellets are looking for improved useful life. Presses for all types of raw materials (fertilisers, livestock feeding, wood), operating under heavy constraints that limit how frequently maintenance can be carried out: high loads, heavy pollution, high operating temperatures. In short, the operating conditions are extremely difficult. NTN-SNR can provide you with detailed knowledge of machine plants installed to optimise our availability of products through dedicated logistics management. NTN-SNR offers a complete range of turbochargers for use in motorboats, electricity plants or the railway sector. For more than 35 years. Inspired by their aeronautical know-how, NTN-SNR provides products that are resistant to very high speeds and high temperatures. A worldwide distribution network also allows rapid reactivity. 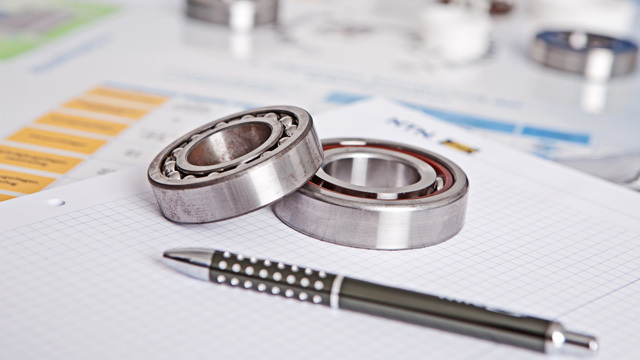 NTN-SNR offers expertise in bearings for electric motors in order to meet the need for reliability and competitiveness.